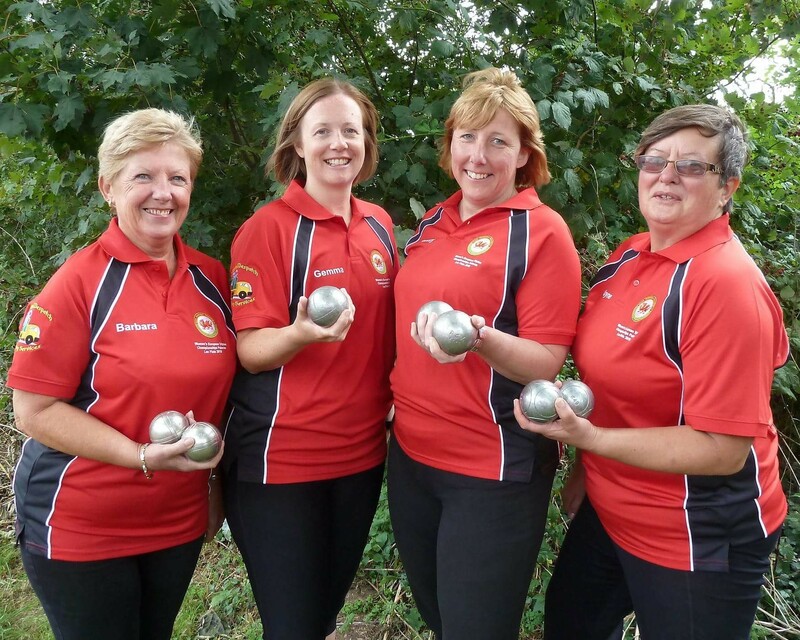 The Wales squad have been given a fantastic boost as they depart Welsh shores for France this week for the 2018 European Triples (Women) Championship. The Welsh Petanque Association and the squad are extremely grateful for Wenvoe Petanque Club member Ken Aston who has pulled the strings to provide sponsorship for the Ladies’ new kit. The new sponsor ‘Catch and Despatch Delivery Services’ are based in Barry and Ken boasts over 30 years’ experience as an HGV driver. With a modern and reliable fleet of courier vehicles, Catch and Despatch Delivery Services’ travel all around the UK and offer a personal service, delivering items on a same day basis, seven days a week, 24 hours a day including bank holidays. For more information on the company and to book your delivery, contact Ken at the following email – info [at] catchanddespatch [dot] co [dot] uk. Under the watchful eye of National Shooting Champion and coach Kon Tomczyk, the Welsh team will compete in the qualifications and repechages for the precision shooting event on Thursday. The Championship commences on Friday morning at 08:30 (07:30 BST) and continues through the Sunday evening. The event will be streamed here and the WPA Website will aim to keep you up to date over the coming days. There are 33 teams competing in the Championships, all hoping to claim the Title, which was won two years ago by the current hosts France, in Bratislava. Good Luck to Barbara, Gemma, Jayne and Tansy over the coming days.